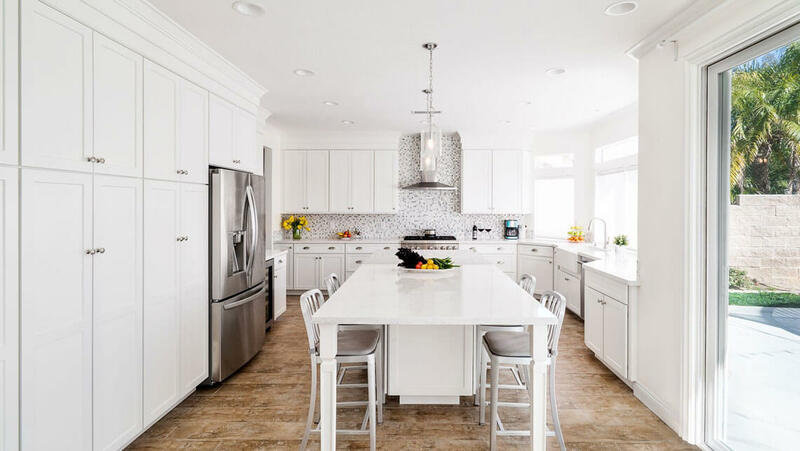 This remodeling project was a simple clean-up that transformed this 1980s home. 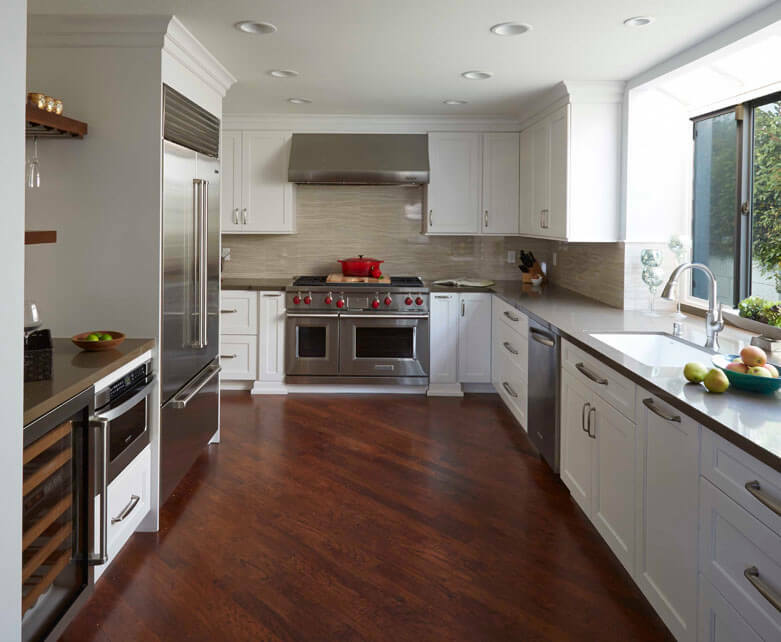 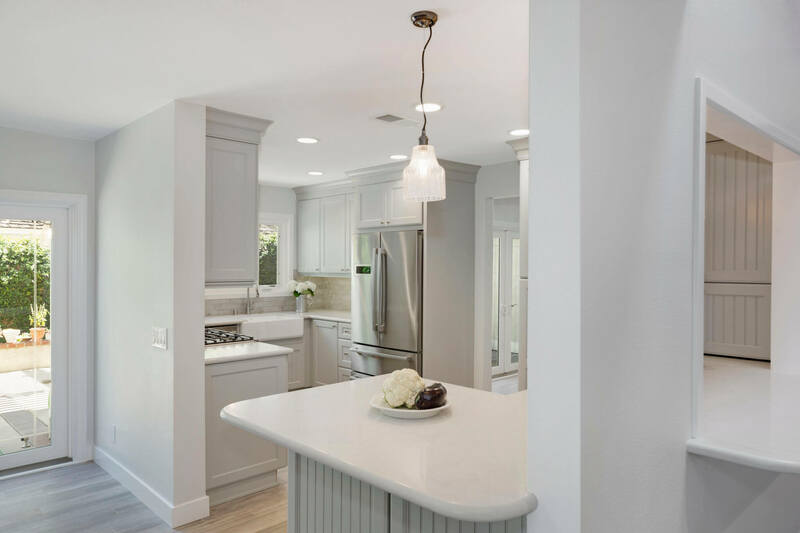 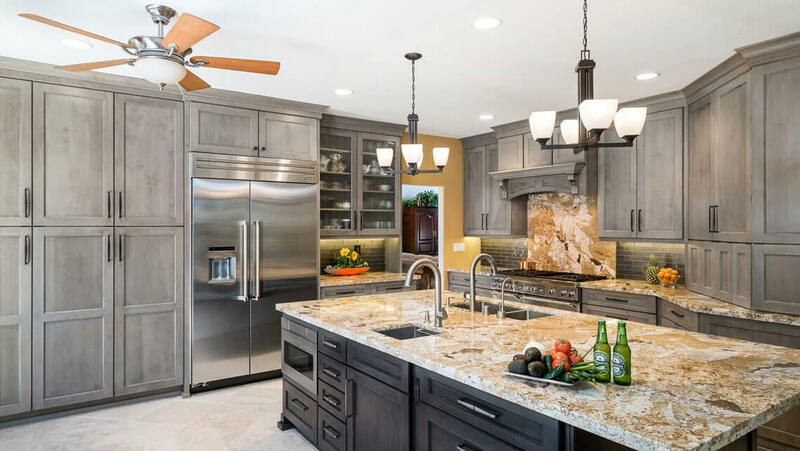 We removed a small island to create a larger kitchen with better traffic patterns. 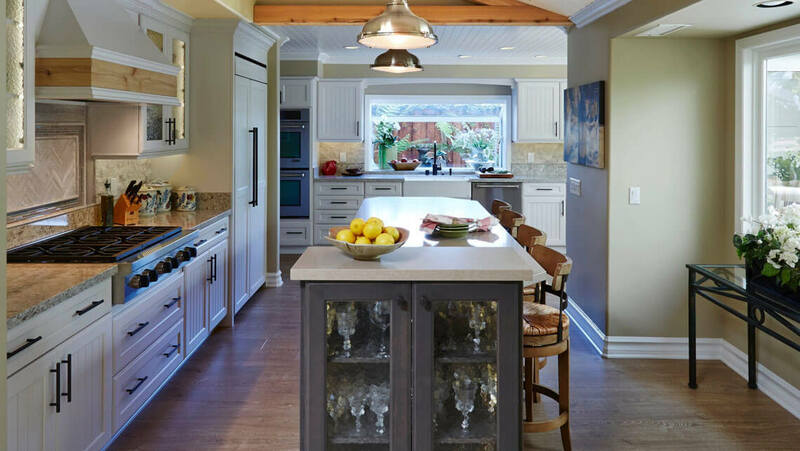 The kitchen design also included a built-in bar area and desk space with custom shelving.